About Harry Shearer: He co-wrote and starred in the seminal rock mockumentary, This Is Spinal Tap; he's the voice of Mr. Burns, Smithers, Ned Flanders, Kent Brockman, and nearly a dozen other characters on the long-running FOX-TV hit, The Simpsons; and he was a cast member and writer on Saturday Night Live. Le Show, has been on the air since 1983. To get the latest Le Show, click here. Or, you can find back issues by searching the complete archive. 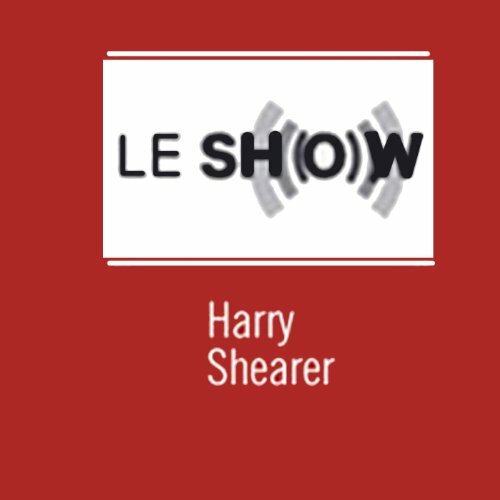 If Harry Shearer's talents were limited to mimicry alone I'd STILL recommend Le Show to fans of satire. His impressions of distinctive voices from across public life are eerily suggestive and musically understood, as perhaps only Peter Sellers has done before. Clinton, Carville, Brokaw, Rather, Bushes 41 and 43, O.J. Simpson (savagely funny), Access Hollywood's Pat O'Brien, Newt (remember him? ), Mr. Blackwell, and bygone Shearer star turn, sportscasting legend Curt Gowdy. His Michael Jackson's way off, but by and large the man has GAME. His Jesse Jackson is brutally funny without alienating us from the public figure. His brilliantly scripted ClintonSomething, in another medium, would have earned him a major acting award for his portrayal of Clinton: sly, genial, confident of his long game, reflective, yet no stranger to a good time. He spins records he likes, sometimes intentionally pertinent, sometimes seemingly not. I seldom enjoy every cut, but it's almost always something good and fresh and occasionally something longed for. He likes Ella and Fountains of Wayne. He always brings in a few pre-recorded dialogue sketches, typically very smart and very funny. It's breathtaking when you first realize he's playing every part, like when you first learned all the instruments were being played by Stevie Wonder. He takes some fair criticism for filling out the hour with what seems like a straight reading of buried news. Somehow it works for me as a kind of outraged Fiorello LaGuardia on the radio, reading from the back of the newspaper, piling on evidence we may have missed that our world is in the hands of monkeys. Le Show feels offhand but impetuous, and some hours seem more inspired than others. (As bad news accrues through the week, I begin to anticipate a great show.) It's clearly a labor of, if not love, then of bitter laughter. In so much as Shearer seems every bit the sourpuss LA lifer, Le Show seems an apt expression of graciousness. I was expecting something funny, witty, or at least intelligent. Reading news items from the paper with very long pauses (for effect I guess) made me prefer silence on my commute. I gave it several episodes to try to 'get' it but it just didn't get any better. Harry Shearer is one of a kind. He is smart, funny and a gifted voice actor. His special features (Apologies of the Week, Tales of Airport Security, etc)are not to be missed. All this and a political consciousness and encyclopedic mind that beats any mainstream "yack show" host. The skits of the 2 Bush Presidents (41 and 43)and associates are hysterical. Then there's his musical selections; from Sinatra to stuff you will hear nowhere else are icing on the cake. This is the best thing on radio! I can't think of a better radio program. It is funny, but I feel like in a one-hour-a-week show with music and humorous entertainment there is still more news than a week of a 24-hour news network would provide. Unfortunately, for some of the news on the show, this is the only place to get it, since "in depth news coverage long since went the way of the dodo. While there is some opinion, and that may be off-kilter from the mainstream, it is never "shrill." Harry Shearer is not afraid to point out when the right or the left "have no clothes." I sometimes fast-forward over some of the musical selections and occasional replays of recorded bits, but the consistent level of writing and performance has no equal. The pacing of the show is comfortable, but if the audience expects a high volume "morning zoo" kind of a show with lots of jokes about flatulence or only appreciate the ubiquitous narrow political commentary up and down the dial, maybe they should stick with what they find more easily digested. Le Show is the only reason I've continued to subscribe to public radio for 20 years...the ONLY reason. While Harry has retained a Liberal edge, while I've gone more conservative, I still love and respect the guy. He is one of my all time favorites. I first began hearing Harry when I was a kid in school (I'm 50 now) and he was part of the Credibility Gap group. They would do a news cast on a local Los Angeles radio station that lampooned current events as he continues now on Le Show. The Credibility Gap would skewer (the then LA mayor) Mayor Sam Yorty and anyone else that attracted their sites. Hilarious then and now. Previous reviewers have mentioned his skits about the Bush's, but Harry kept pace with the Clinton's as well. Even though I was a huge Reagan supporter, it didn't keep me from listening to his outrageously funny series, "Hellcats of the White House", when he found a new way every week to look at the oddball side of politics. Harry Shearer is a rare talent and an acquired taste. For those of you that have been left scratching your heads after a single listen, I encourage you to continue. Harry's take on world events grows on you and you find yourself scheduling your day not to miss his show. With Audible, now there is no reason to skip an episode. Go Harry, you've given me a lot of laughs over the past 40 years! I really do like Harry Shearer's appearances in films and I've enjoyed the occassional comic bits I've heard on other NPR news programs. That's why this program was particularly disappointing to me. About 1/4 of the nearly hour-long program is just straight music -- and not particulalry good music (IMHO) -- that I just fast forward through. There are occassional clever bits, but not nearly enough to make me want to renew my subscription to this program. The somewhat obscure oldies music is fine, but the tremendously editorialized "news" items are painful to listen to. Clearly a lot of research goes into le production, but it should really be identified as le political announcement rather than as an information- or entertainment-oriented show. Smug, "uber"-chic condescension mixed with shrill political rhetoric. Difficult to listen through, not only because of the content, but also because of the awkward presentation. Sort of an "audio-blog", where style and presentation take a back seat to the notion that it doesn't cost you anything (other than time) to listen to. Harry seemed unprepared for the shows I have heard. He had trouble pronouncing names, added little or no commentary. What he added seemed like he was trying to be funny, but failed. His comedic timing was poor, his style unique, but not funny. His comments were basically liberal, which I normally like, but they added no value. He seemed to think the news itself was the joke, which it is, but I can get that on any news program. I am also a very eclectic listener when it comes it to music, and his choices were mostly poor. They did nothing but fill up time. I have been a fan of Harry Shearer's comedy for many years, and I was delighted when I saw his radio show available for download. What a disappointment! Le Show is not comedy. Shearer spends most of the show reading short items from the week's news and ranting about them. He alternates this with music of his choice, admittedly good stuff, but in no way topical. Near the end of the hour, he presents one comedy sketch, which is normally two people talking, voiced by him. All have been political in the three weeks I've listened, and have entirely lacked any interesting commentary on the news. I will not listen to Le Show any more. It is sad to hear a great comedic talent squandering his potential in a weak attempt to be a shock jock/political commentator. Harry, just because Al Franken can make the jump doesn't mean that you can.